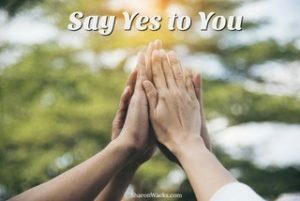 What does it look, feel, and sound like when you engage and experience the energy of “I say yes to me“? Spend a few moments, when timing feels right for you, to consider, contemplate and compile your thoughts and intentions around this. “I say yes to me”! If it feels right for you, please share your yeses below! 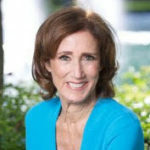 My private clients who have had said YES to themselves and experienced a Head and Heart Harmony VIP Day with me have discovered the value of knowing their Triad of Brilliance™ and releasing what has kept them from saying yes more to shining their unique qualities. These three aspects unblocked and revealed to you during a private VIP Day are powerful intuitive insights personalized to your unique vibrational blueprint. When activated and aligned you are free to live from a place of joy, peace of mind and an open heart of love. Thereby attracting and manifesting what you truly desire. For now open up your pathway to receive and practice what it feels like saying yes to you. Today, I share my morning practice with this as inspiration, stimulation and action potentiation. (Yes the “playful igniter” side of me is alive and well, and yes that’s part of my Triad Of Brilliance™) Can you feel it and also imagine what it would feel like to be living yours? Yesterday Rael and I celebrated 25 years of marriage… A quarter of a century of wedded bliss! I SAID YES to grow together in our relationship. I SAID YES to grow together in family. I SAID YES to that indescribable thing I felt for him. I SAID YES as he showed deep care for me and many of the things that were important to me. I SAID YES to building a future based on love, caring, mutual respect, understanding, kindness, sharing and laughing. I SAID YES to learning to say ‘no not today’. I SAID YES to freely choosing what I say and do each day. I SAID YES to honoring him and us the more I learn to honor me. I SAID YES to us every day since then. And 25 years later, joyfully with deep love and appreciation, I SAY STILL YES TO HIM AND US while fully and loudly SAY YES TO ME! I say yes to seeing you and me evolve, expand and create collaboratively and joyfully. If you are ready to say YES to you, I would love to schedule a call with you to explore what is possible. Click here to schedule your complimentary call. Together we’ll find ways to unblock and discover your Triad of Brilliance™ too.